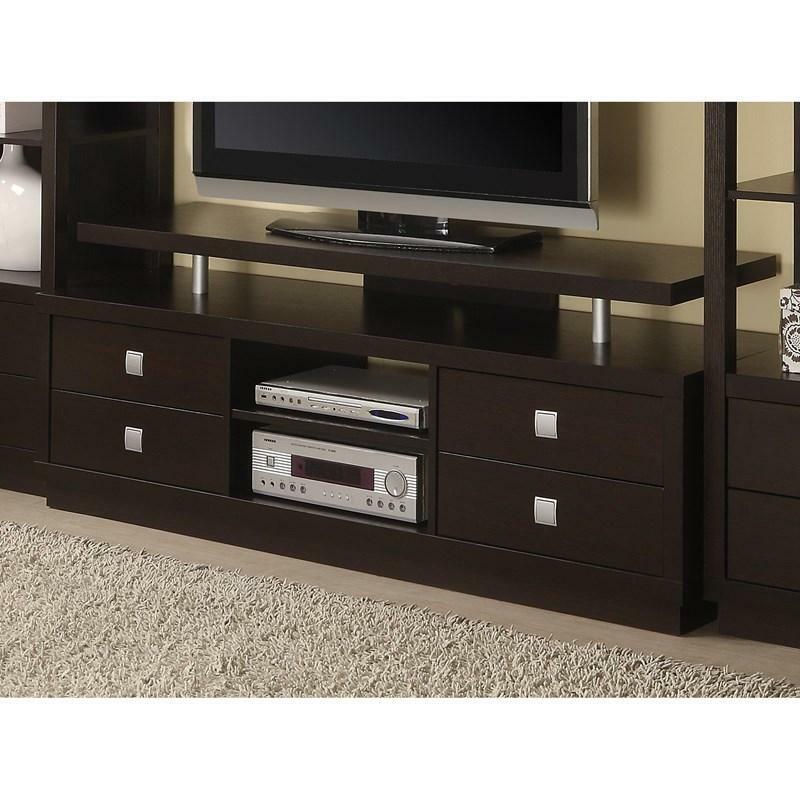 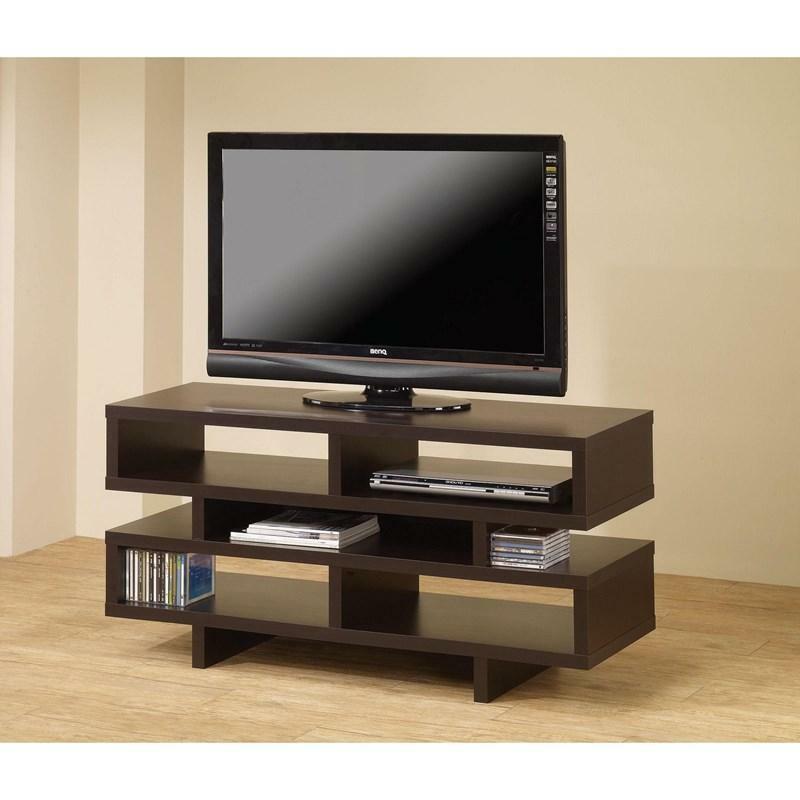 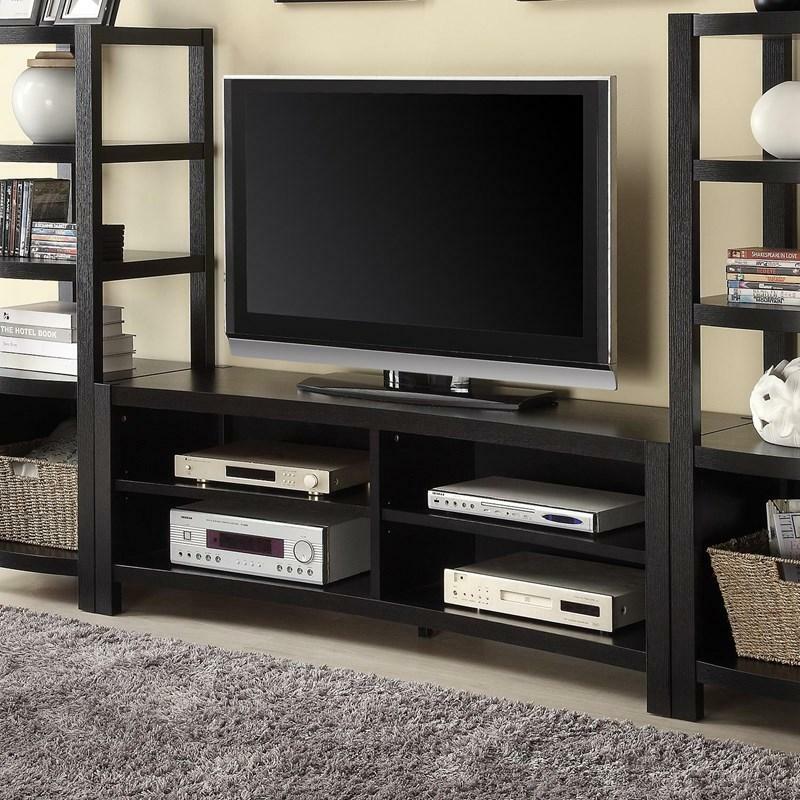 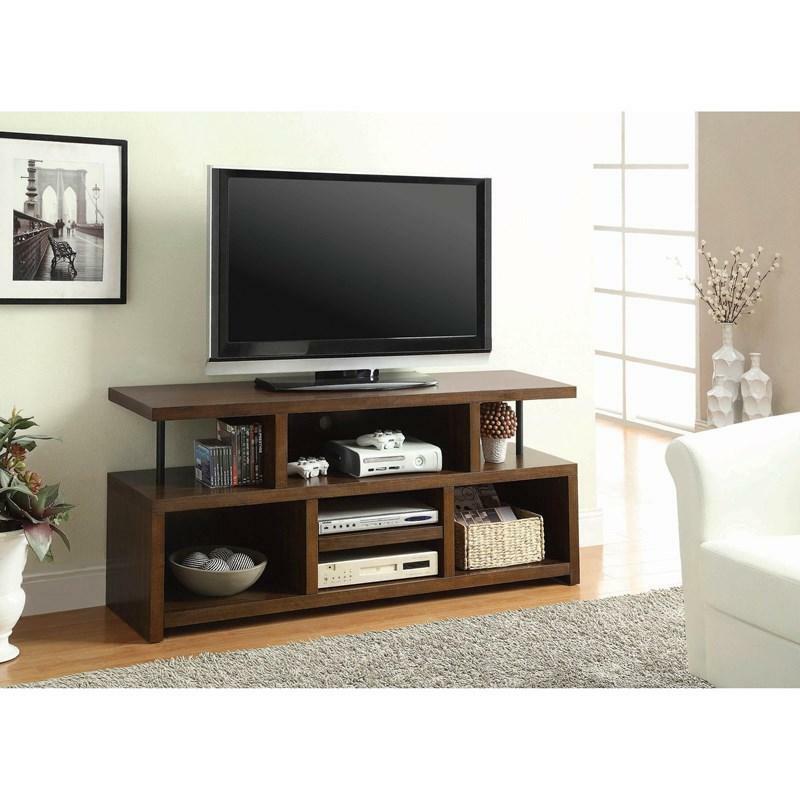 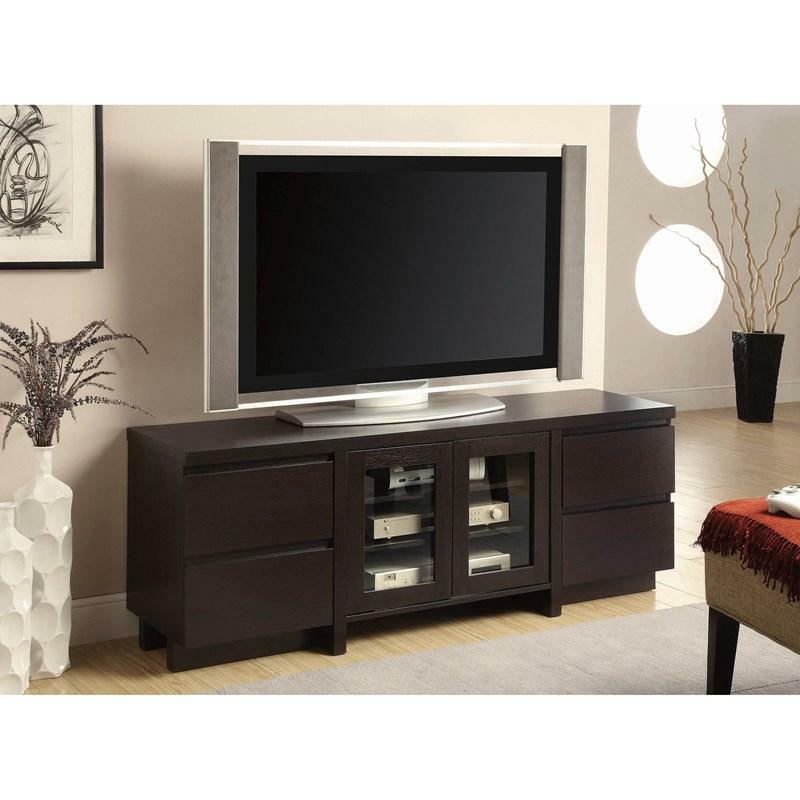 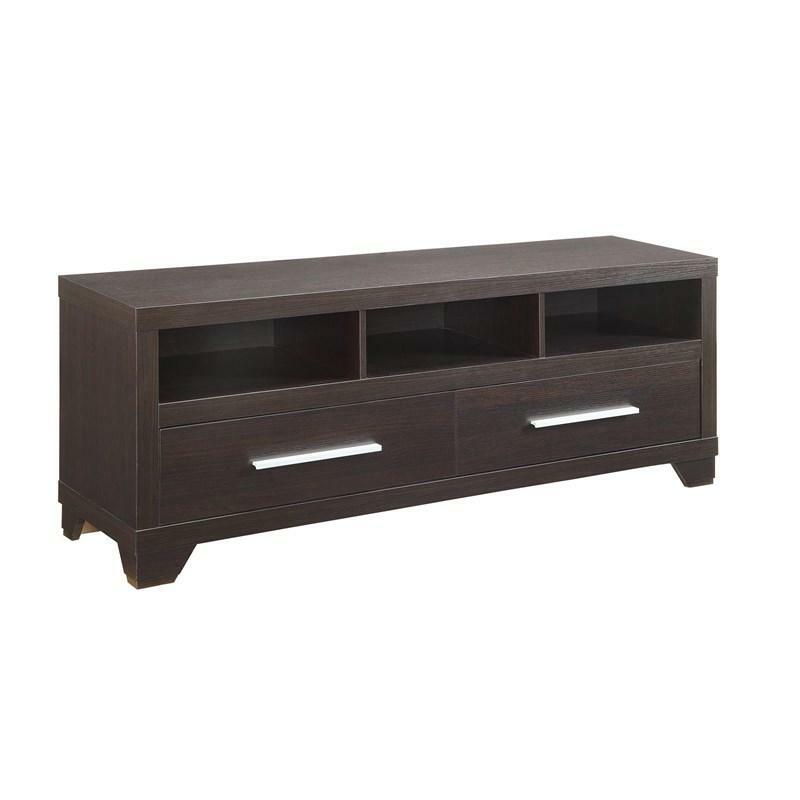 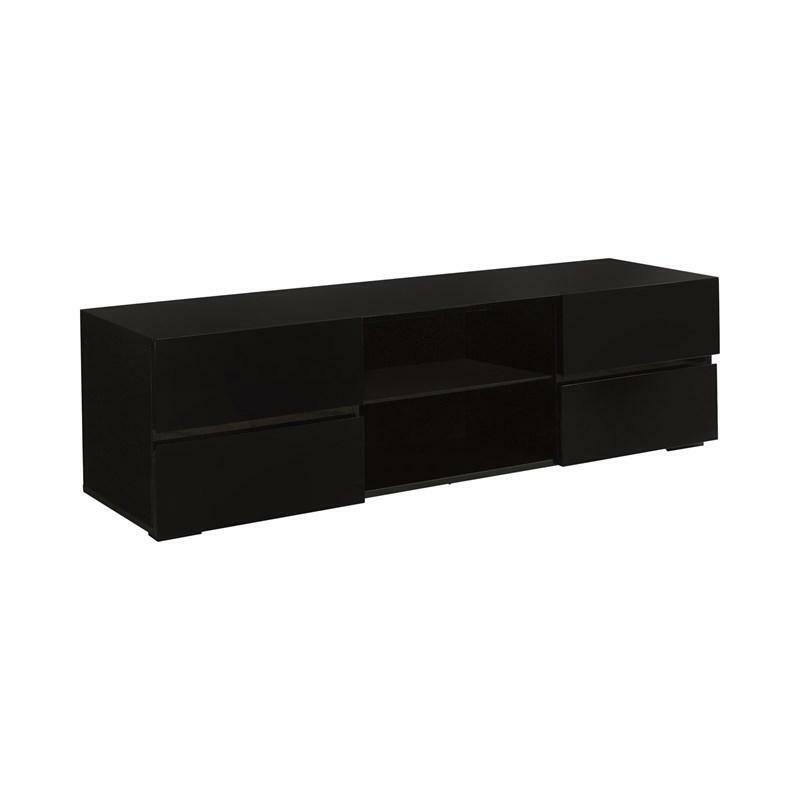 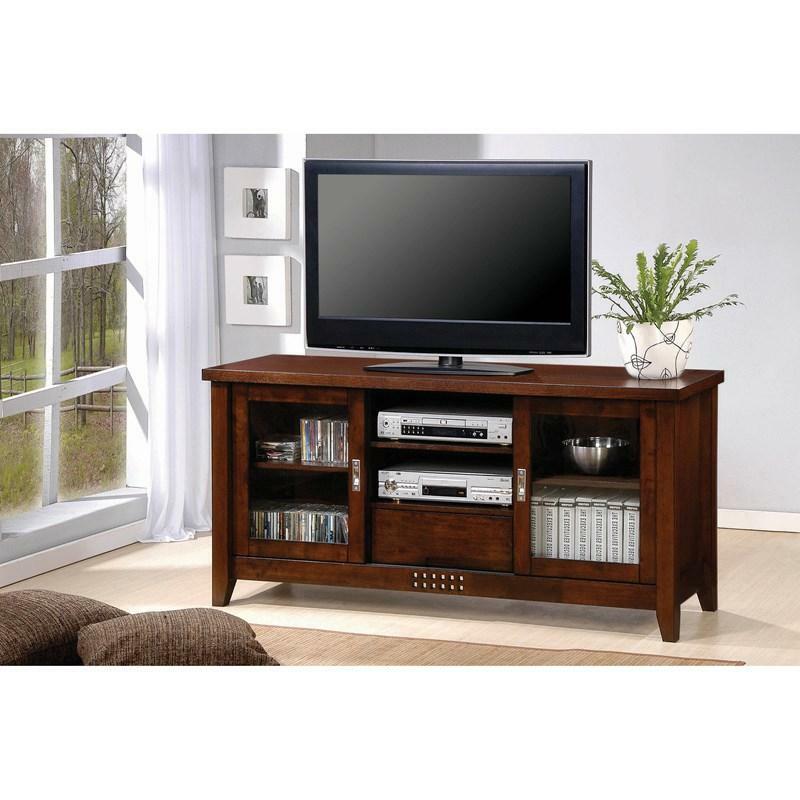 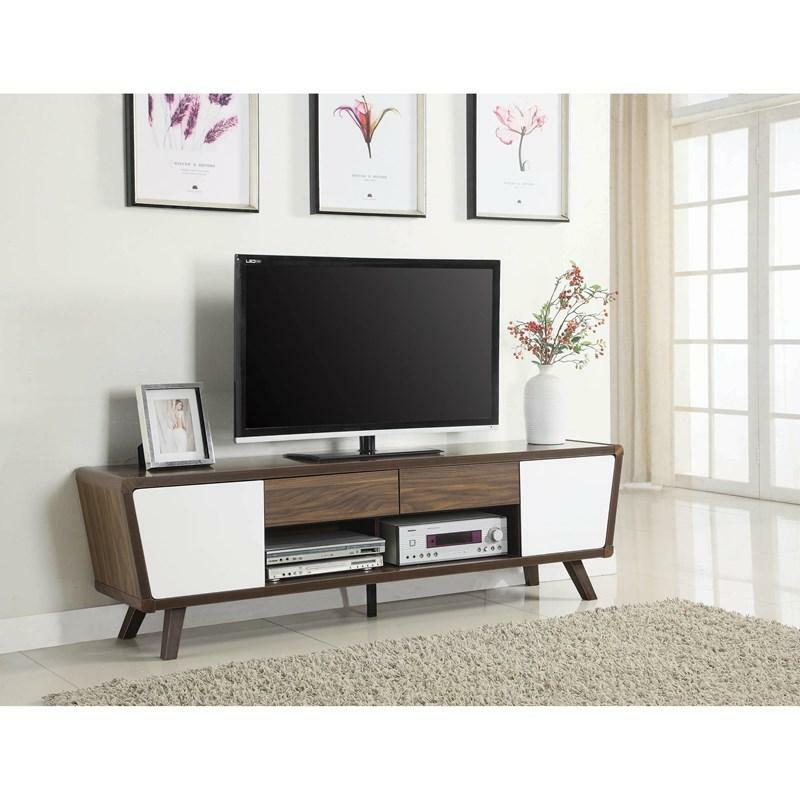 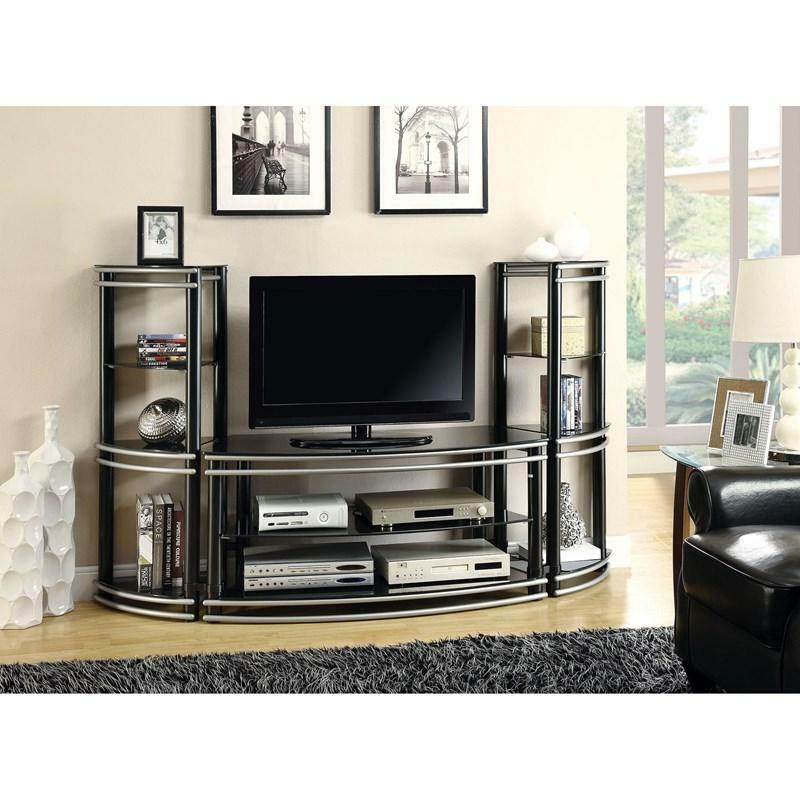 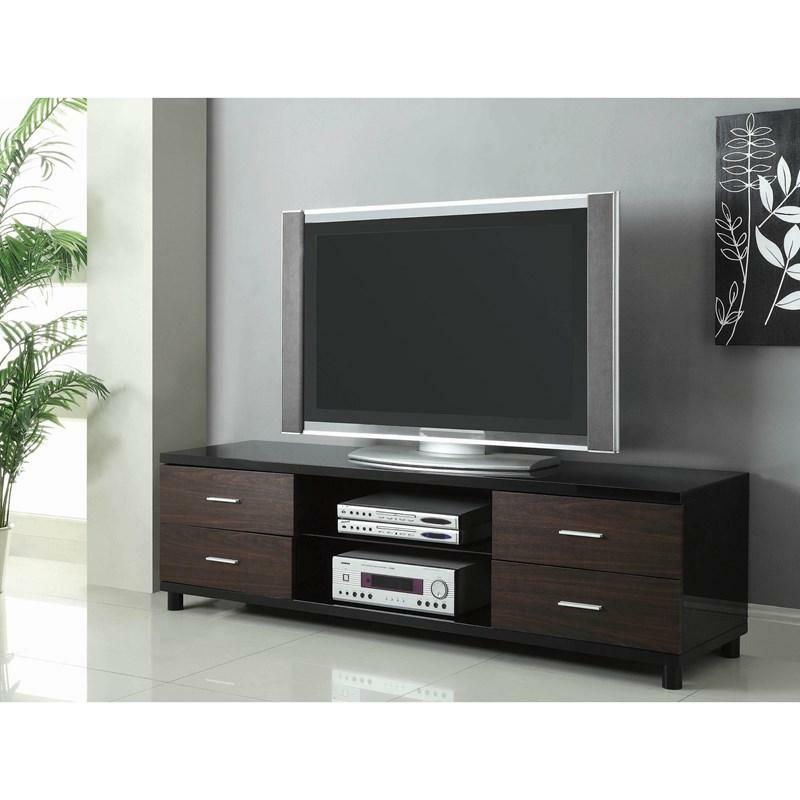 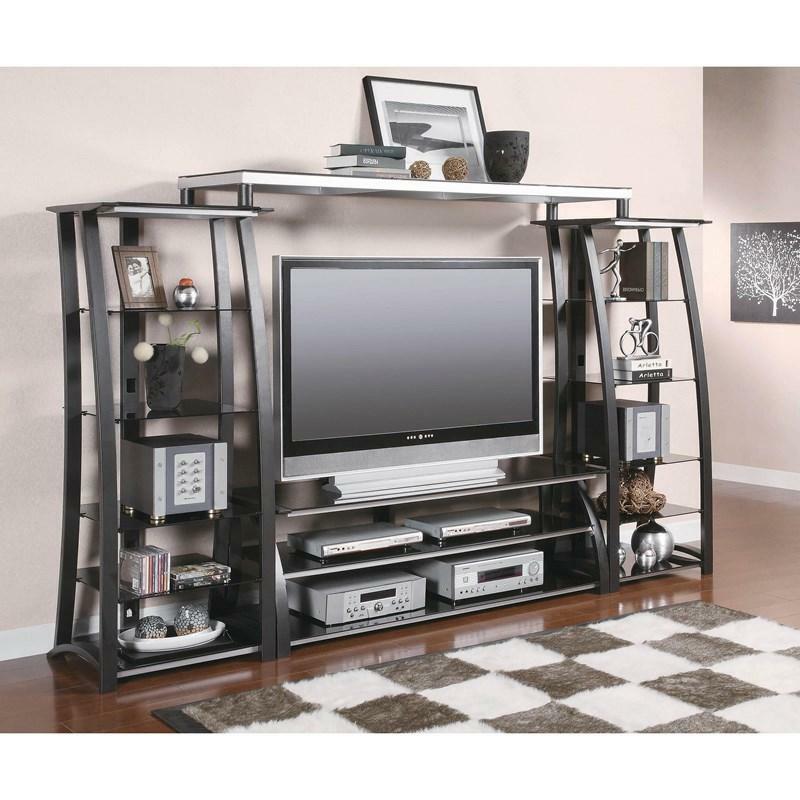 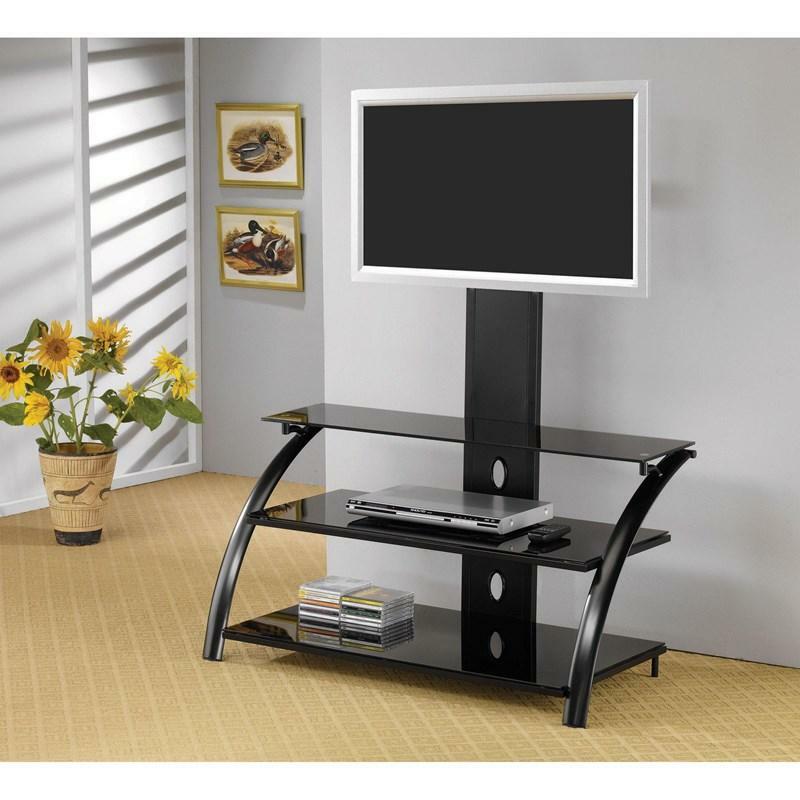 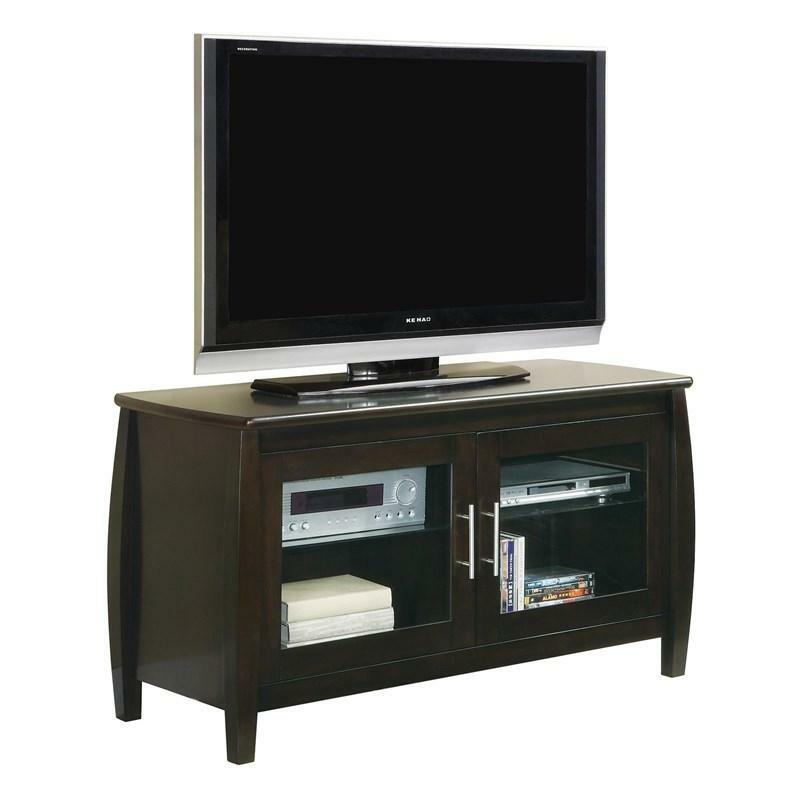 This dark walnut TV console offers an inspirational take on designs from past decades, even if your TV no longer has rabbit ears. 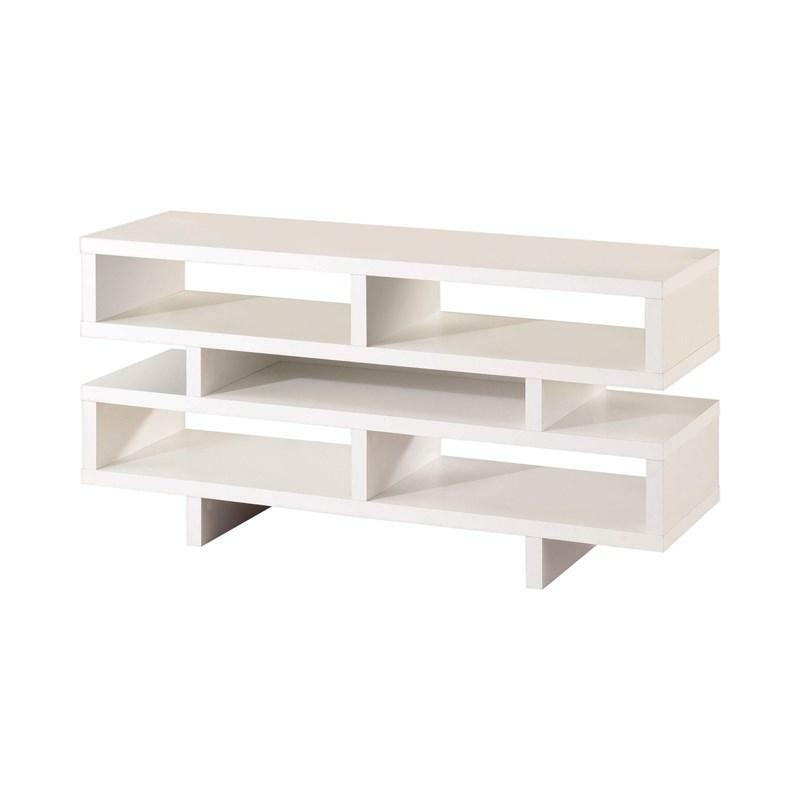 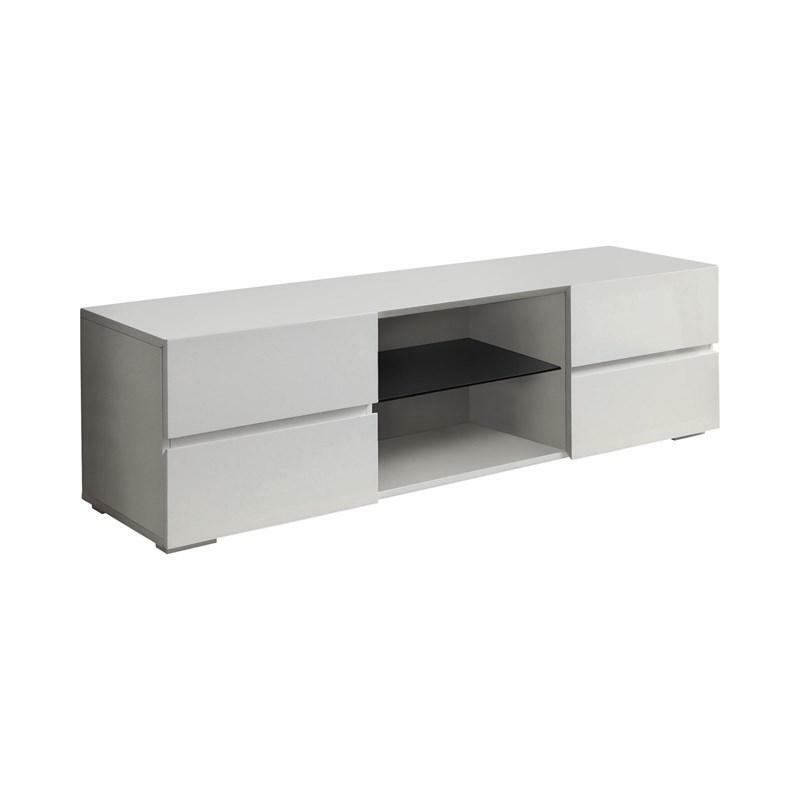 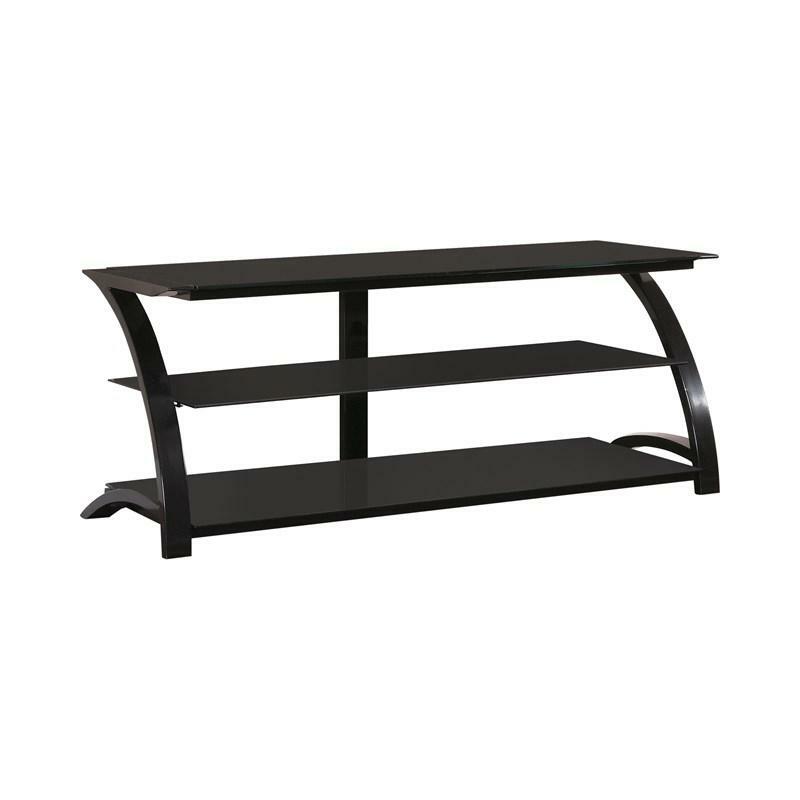 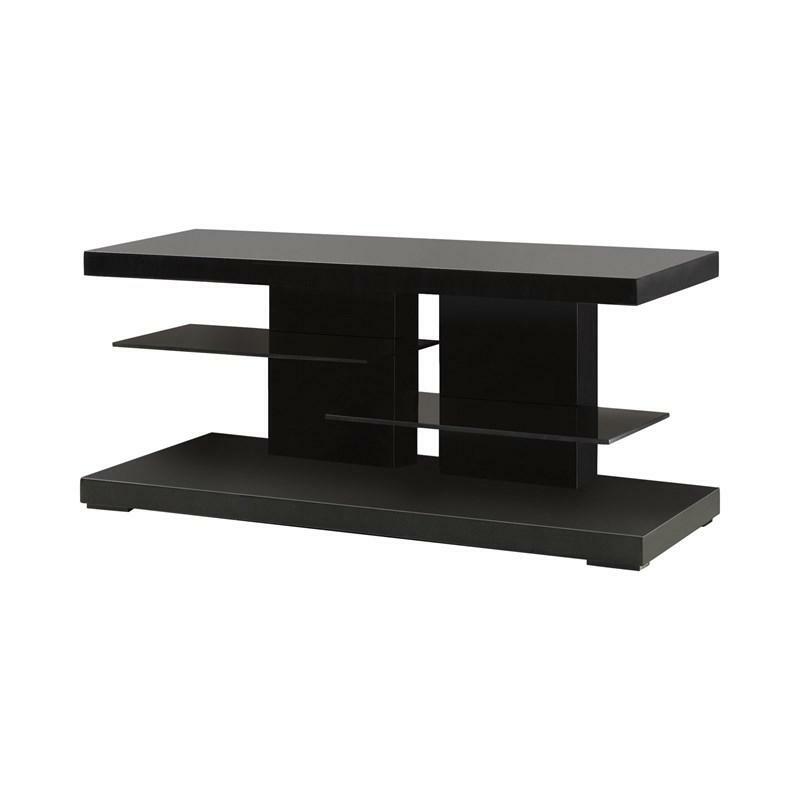 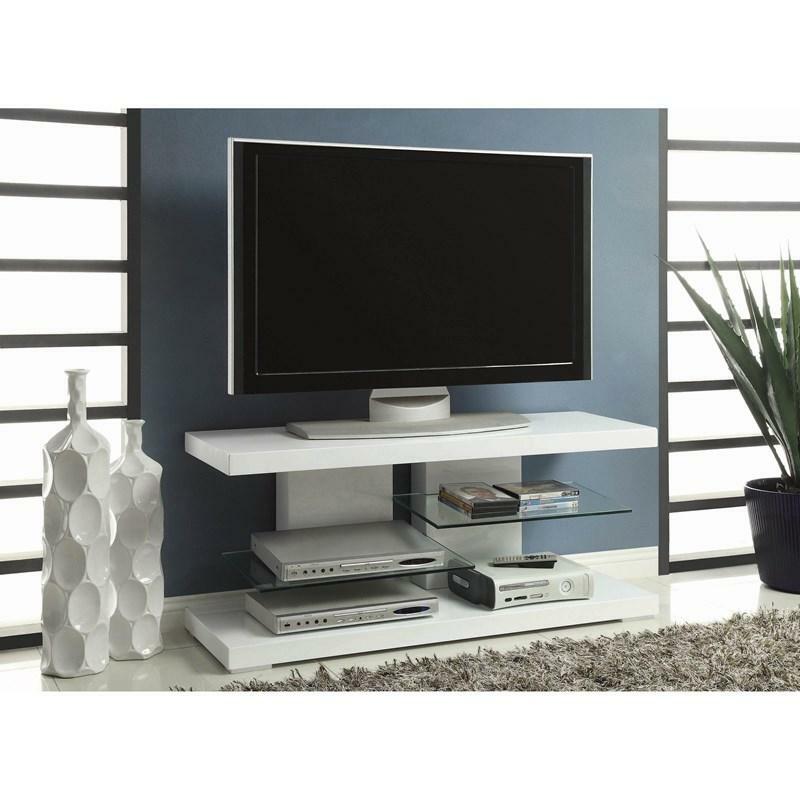 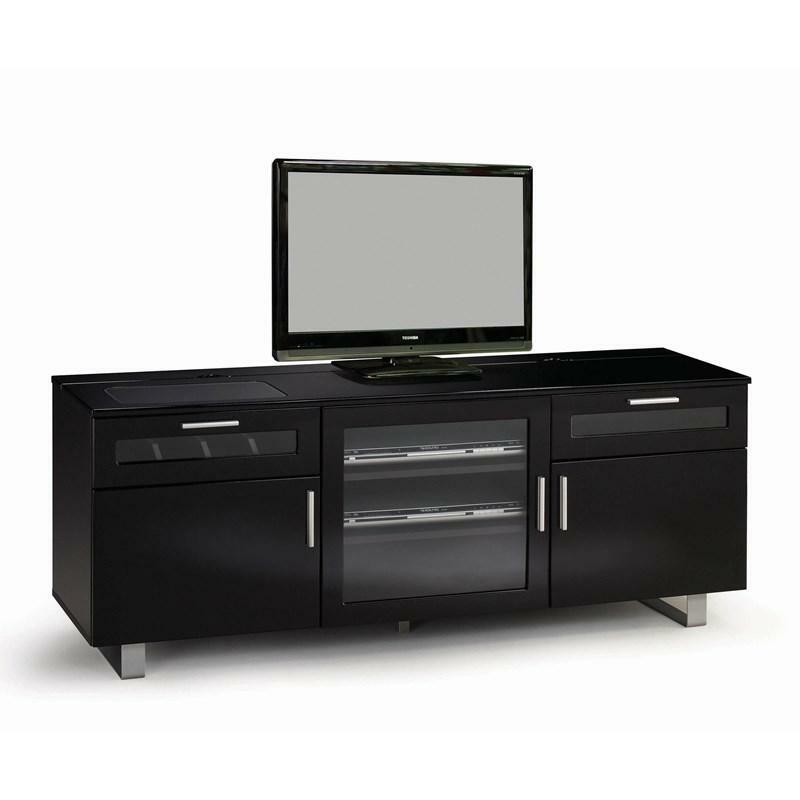 Available in a glossy white and dark walnut finish, this console features two drawers and a shelf for easy access to your devices. 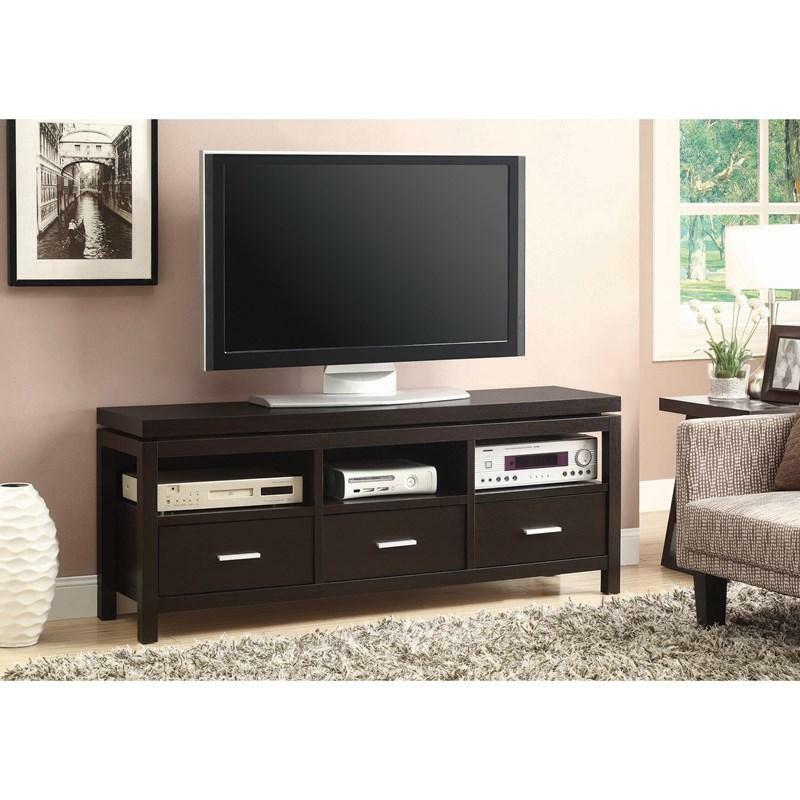 This console will support TVs up to 75 inches and 120 pounds.